Today we trained outdoor on a tennis court. The weather has been nice but the fields are still closed. Today was a bit chillier than previous days and there was a misty rain falling on us the whole time. Once the mist turned to rain at 1.75 hours in, I called it off. We don't want anybody getting sick. Scheduling is still tricky because of hockey and basketball, but when both teams work together we get OK numbers. Today we had 16 between both teams. There was a regional science fair, basketball and hockey tournament and a few boys were sick. We started training with a 12-minute run and five 40m sprints. We then went on the tennis courts and did 45 minutes of moving with the ball including various sequences for footwork and practicing turns. The balance thing is HUGE. Some players throw themselves into a turn or a move but don't have the balance to finish the job. It's about controlling your body's momentum at all times. When we jump through agility ladders or over hurdles we stress landing under control because some players just throw themselves forward, losing their balance. When we got into 4v4 on each tennis court we were looking for the boys to use their turns to keep possession. The player with the ball is never allowed to be the last one back, forcing players to move into support positions. Now everybody has an idea for how they work within a 4v4 situation. We set the shape hopefully setting the stage for success. They were free to do as they chose within those guidelines. They did not let us down and it was very entertaining to watch. Of course, as with always, we stressed quick-early-accurate passes. 4v4 is a great practice tool, competitive, and allows you to work on everything and anything, depending on what conditions you set. Looking back, I came with a fully planned out practice and we got to the end of it. Coaches Paul and John helped make it successful with good coaching points and the boys were in a working mood. Next time I run a similar session I need to include more competition along the way. Not just 4v4, but 1v1, 2v1, 2v2, races, anything that says "I win". I felt good on my drive home, the feeling I am looking for. I know I can feel good about a session while self-assessing what needs to change. I look forward to our group fitness session on Thursday. Acting on an idea from a senior member of our club, Al Edwards, I organized a group fitness session with our U13 boys, our other u13 team along with our U10, U11, U12, U17 teams. Between all the boys and less the ones who were missing because of hockey and basketball , we had 70 players out. training circuit of 15 stations, done twice. The evening took a little longer than expected because we demonstrated each exercise and organization of players took a little bit. But over all I was VERY pleased with how it went. The boys all came out to work and were very co-operative. The station exercises involved hurdles, agility ladders, some dribbling drills, pushups with and without a ball, 2 planking stations, situps/crunches, jumping on and off a bench, skipping and lunges. Each station was 1 minute with 30 seconds to move between stations. I was happy afterwards because I was able to get there a bit early to setup, the time of my day was such that I wasn't rushing and the boys all came in a great mood. It was such a positive night and the parents and players were the reason. The setup and organization might have set the stage, but the participants made the evening enjoyable. A great positive to the night was being able to include parents into the session. I want to include them more this season so they can be there as good examples for their kids. Coaches have too much influence on a child and today I think kids need their parents (and vice-versa) as much as they ever did. More parents on stations so coaches can roam and watch their players. We had some experienced parents involved and hopefully they contribute by bringing ideas to the table. One is a high school football coach and the other is a former fitness instructor. Next up is Saturday morning, outdoor. We are training on a playground as our fields are still closed and the weather is too nice to be indoor. We're planning on lots of individual ball work and 1v1 . it will be both teams together. 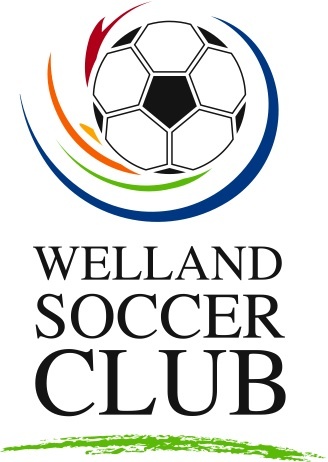 The U17 Welland boys had their first pre-season match today. The venue was our indoor field in Welland, which still has boards from the American style of professional indoor soccer. An example is in the photo below. Ours is similar, without the 20,000 seats. Our indoor soccer building was built in 1984 and has served the community well. The artificial turf is on it's last legs but our new building should be done by next November. It was a good break from training and a good chance to get re-acquainted with each other in a game situation. Have exhibition games for U16/U17/U18 is a tricky venture as it's difficult for them to not turn up the heat 100%. As a coach you're looking for them to build some game fitness and chemistry and do some assessment for planning purposes. Winning is nice, but it's not priority number one. There were some instances of rough play and players hitting the boards, but everybody escaped relatively unharmed (one banged knee) and the boys now have a new focal point going forward. It's only their first game and they've been away from each other for 10 days so there was no need to beat on them for a lot of small sticky points that would probably be rectified by fixing the issues above. As we continue to correct their shape in possession a lot of other problems will disappear at the same time. Even though their 1v1 defending technique was poor, their desire to challenge and want the ball back is admirable and a great characteristic to build from. And they are not afraid to shoot which is always helpful ... if you want to score goals. At U17, mental toughness and physical durability will play a big roll as games get more physical and the verbal warfare moves up a notch. That was also evident today.